This summer, a group of the city’s most imaginative musicians and visual artists are transforming a 1950s grocery store into a two-storey adventure world of art, music, and discovery. Brought together by the artist collective Mondo Forma together with Universal Music Canada, the multi-sensory, experiential art maze is themed as an interdimensional hotel and features six underground rooms, each one designed by a team of well-known artists – musicians partnered with visual creators. 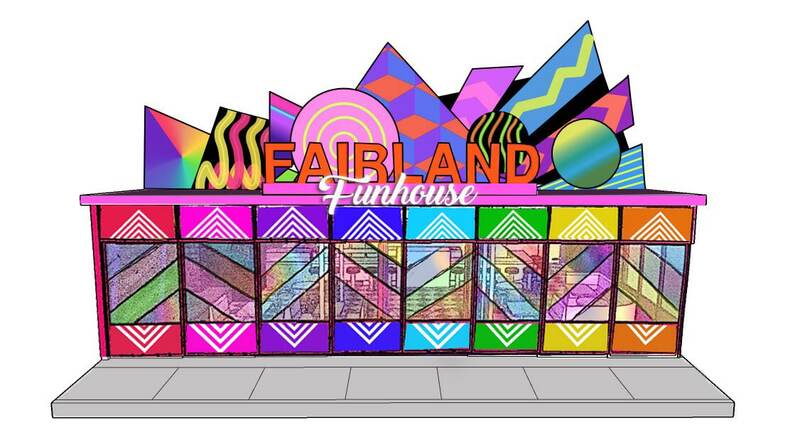 Fairland Funhouse is open to the public seven days a week starting August 14. Tickets start at $20. Kids 2 and under are free.